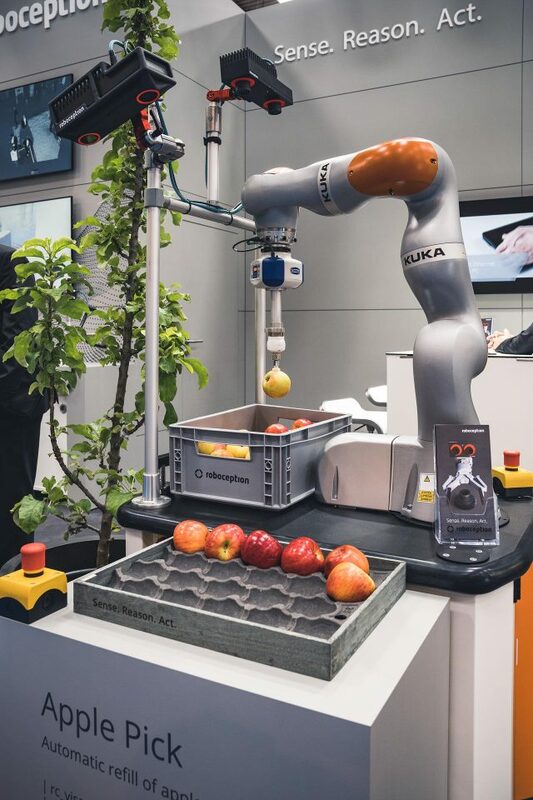 November 16-25 is European Robotics Week – and this year’s Central Event is taking place in Augsburg. Roboception is not only a proud silver sponsor of this event, we will also be taking part in the exhibition “From the Romans to Robotics” in Augsburg’s Zeughaus (Toskanische Säulenhalle), open to the public on November 16 (10.00-18.00), 17 (10.00-17.00) and 18 (10.00-16.00). At this exhibition, we will be showing our “apple pick” demo, featuring some of our latest innovations. We look forward to seeing you there!